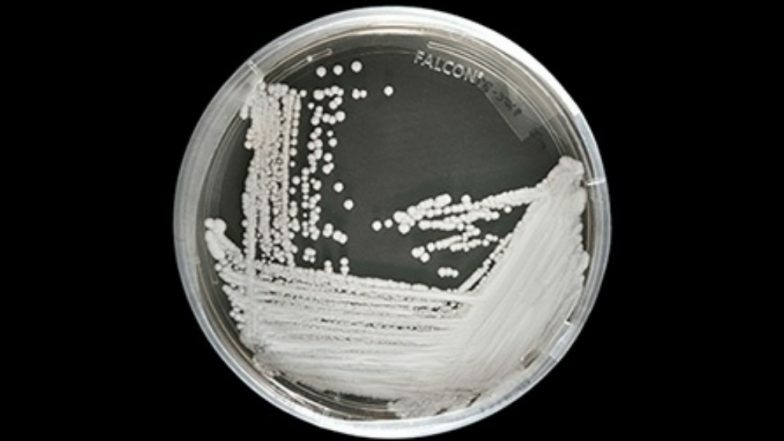 Candida Auris: Scientists Shocked as ‘Unbeatable’ Fungus Spreads Globally; 3 Reasons Why the Superbug is Bad News! Scientists have sounded alarms after the fungus Candida auris was found to be spreading globally at a shocking rate. The fungus has attained a superbug status after it was found to be drug resistant. The yeast has been causing severe illnesses in hospital settings through catheters or other tubes. It enters the bloodstream of people with weakened immune systems and travels across the body, causing deadly infections. Medical professionals have been warning against the fungus as it grows more and more drug-resistant every day. Here are some of the important facts about the “unbeatable” Candida auris and why its spread is terrible news. Candida auris or C. auris is a type of yeast and is fast becoming an emerging multidrug-resistant pathogen. It was first identified in 2009 in Japan, but retrospective review shows that the earliest strains were detected in 1996 in South Korea. New Delhi Superbug Gene Found in The Arctic: What is The Deadly blaNDM-1 That Causes Antibiotic Resistance? C. auris is capable of causing invasive infections in hospitalised patients who have weakened immune systems. It enters the bloodstream through hospital equipment such as catheters and tubes. Once inside the body, it travels through the bloodstream, causing invasive infections in different organs. C. auris has recently surfaced in the United States and is poised to spread globally. Apart from being drug resistant, the pathogen is difficult to detect. Strains of the multidrug-resistant fungus have been detected in five continents. Countries like India, Japan, Korea, Brazil, Israel, Spain and UK have reported Candida auris infections. Antibiotic Resistant Superbug from India Found 12 Thousand Kilometres Away in the Arctic. According to the CDC, symptoms of C. auris may go unnoticed in patients who are already sick with other infections and diseases. The signs may be mistaken for the disease they are hospitalised for. Since C. auris spreads across the body through the bloodstream, it can cause different types of infections. And symptoms largely depend on the organ it has infected. Since symptoms can vary, C.auris can only be detected in a laboratory test. How is Candida Auris Detected? C.auris is difficult to identify from other common types of Candida fungus like haemulonii. Only a special laboratory test that cultures blood and other bodily fluids can detect the pathogen in patients. Who is at Risk of Candida Auris Infection? People of general health are not at risk of Candida auris. Since the fungus is found mostly in hospital settings, the ones who are most at risk are patients. People who have been hospitalised with breathing tubes and catheters are more at risk. What is Antibiotic Resistance and How You Can Prevent It? Health conditions like diabetes and cancers also pose a bigger risk. Patients who have been on broad-spectrum antibiotics are also at risk of contracting the fungal infection. How is Candida Auris Treated? Most C. auris infections are treatable with antifungal medications echinocandins. Some of the infections are resistant to the three main classes of antifungals. In such situations, doctors use multiple drugs to treat the infection. Why is the Spread of Candida Auris a Bad News? Scientists and medical professionals are concerned about the spread of the superbug fungus because of the challenges associated with C. auris. • It causes serious infections by travelling through the bloodstream of the patients. C. auris infections can even lead to death. • Candida auris is multidrug resistant. It has become immune to the common antifungals used to treat it. • It’s difficult to detect and can be commonly confused for other fungi such as C. haemulonii and Rhodotorula glutinis. • C. auris infections are becoming more common. About a dozen countries apart from the US have reported cases involving the fungus. • It spreads through hospital settings, which puts immunocompromised patients, who are already suffering from other diseases, at risk. A lot is still to be understood about C. auris. As of now, scientists are not clear whether the fungus is recent or have existed before 1996. The resurfacing of Candida auris is puzzling medical researchers all over the world. More research is required to understand the mysterious origins of the fungus to find an effective way to route it out. New Delhi Superbug Gene Found in The Arctic: What is The Deadly blaNDM-1 That Causes Antibiotic Resistance?